Meanwhile, in a large skillet, saute shrimp in butter for 4 minutes or until shrimp turn pink. Add the parsley, garlic, lemon juice, broth, salt and pepper. Cook and stir for 2 minutes or until garlic is tender. 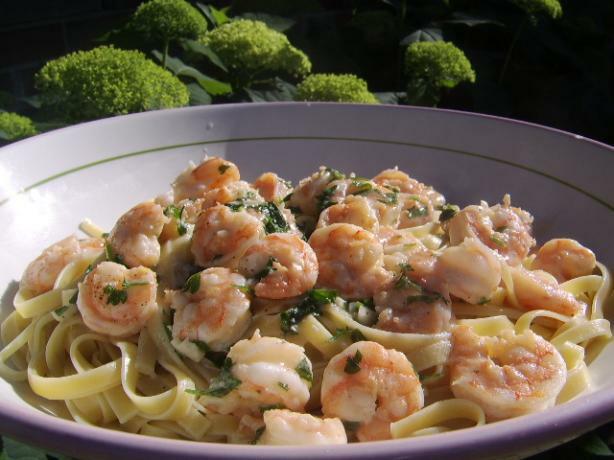 Drain fettuccine; top with shrimp mixture.